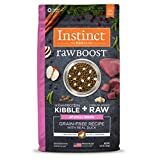 Nature's Variety Instinct Raw Boost Dry Dog Food is a protein-rich dry dog kibble which is made from real meat - no animal meal. 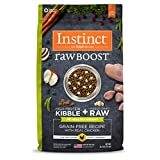 Nature's Variety Instinct Raw Boost Dry Dog Food is grain-free and made from duck or chicken. 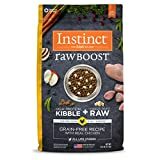 These are the perfect size for my dog to use as a training treat during our daily training sessions.